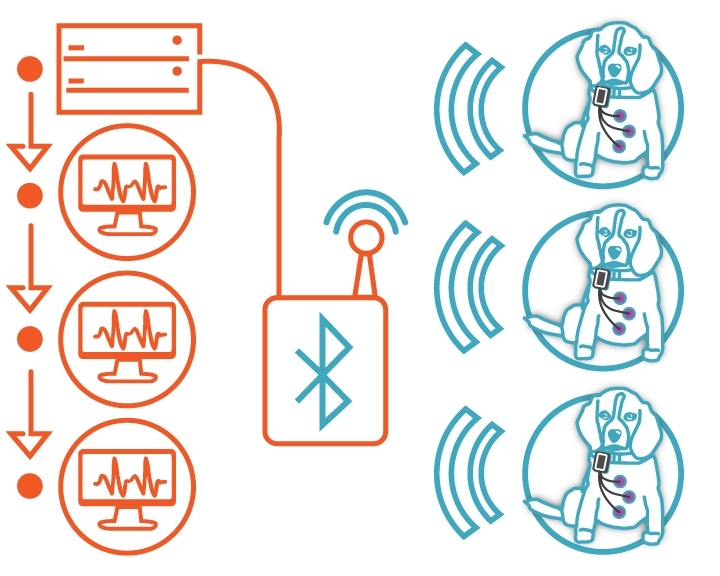 Telemetry: The Bluetooth enabled VET-Scout heart monitors send all ECG signals from the patient into the hospital LAN network via our proprietary WAP-Access Point router in real time. 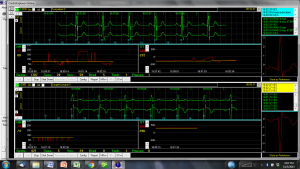 The software then displays the incoming ECG traces on multiple Monitors live and simultaneously. 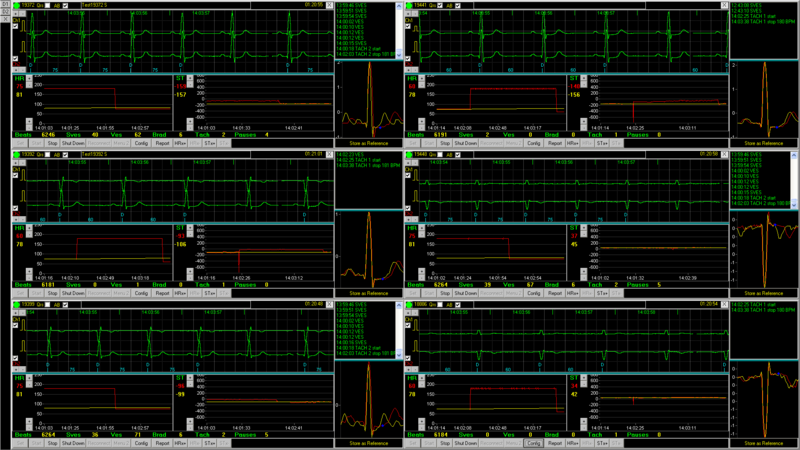 A maximum of 21 ECGs can be displayed simultaneously when choosing the advanced configuration; the standard configuration limits viewing to up to 6 live streams to enhance computer performance. The software provides automated analysis of the incoming ECG stream with various programmable visual & audible alerts. 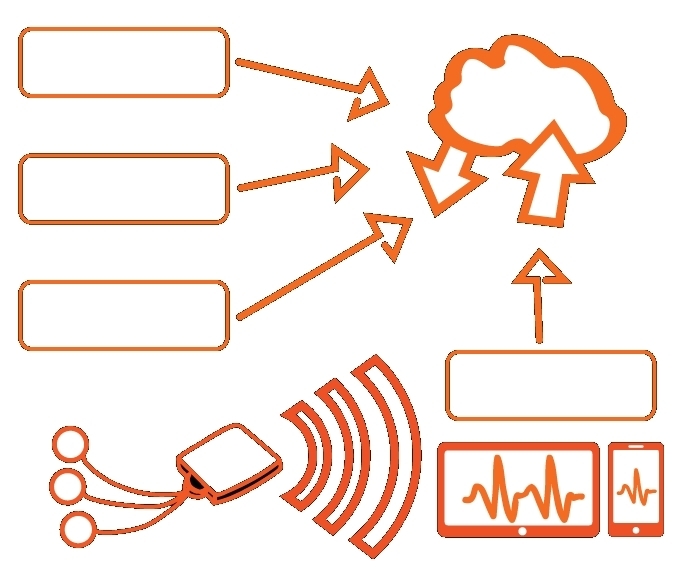 Monitoring of patients in different locations inside the LAN network and via VPN/Internet from outside provides flexibility and safety for veterinary emergency and critical care unit operators. 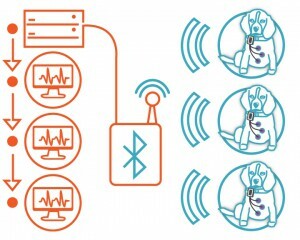 VET-Scout can also connect via Bluetooth to a mobile device or BT equipped notebook computer for live online control when the patient has to be moved outside the normal range of the WAP access point telemetry. 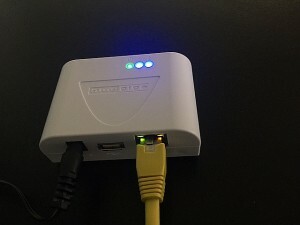 For in-depth analysis of the recorded data, the data can be downloaded via USB to a Windows computer and send to an expert or colleague over the internet or uploaded to a secure cloud-server. A trained operator using our advanced analysis software can analyse a 24 recording and create a full disclosure report within 20 minutes. Please see the product data sheets for all programmable features and settings of our devices below. 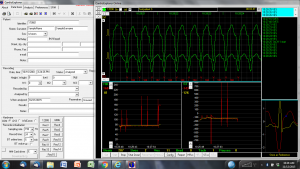 Dextronix VET-Scout monitors offer live ECG streaming for mobile users and in-hospital units. All patients can be monitored from one central display. Patients transported between locations (e.g. from surgery or ultrasound) stay connected using our mobile Apps while moving. The system allows full network integration via WAP Access Point technology and optional Wi-Fi. 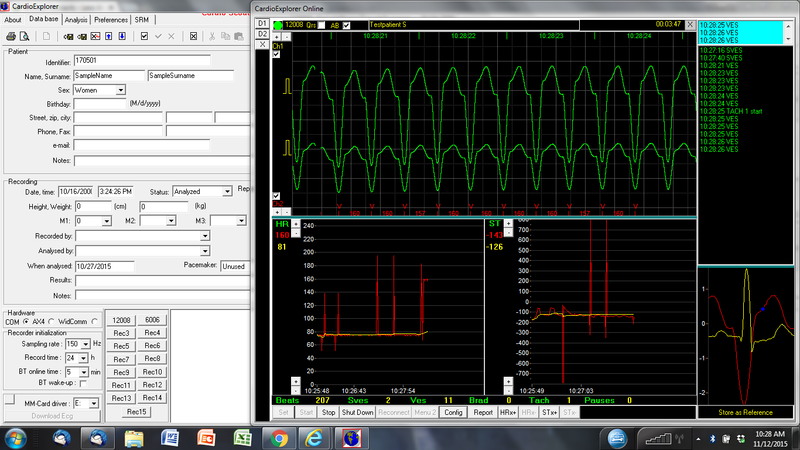 For telemedicine providers we offer a server uplink (optional). 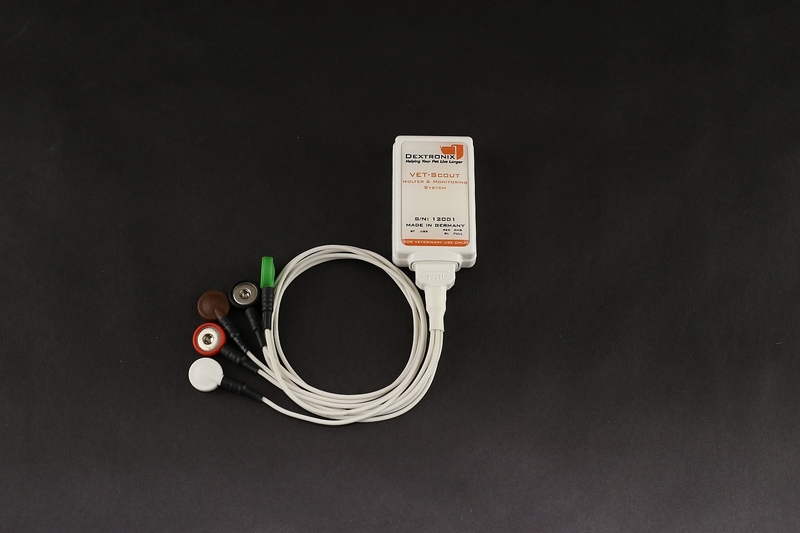 The system is ideal for real-time patient animal supervision in critical care and emergency ICU units. 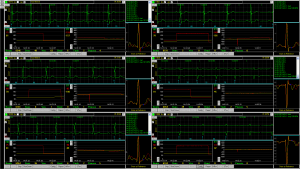 A total of 6 or 21 patients can be monitored in parallel per platform. 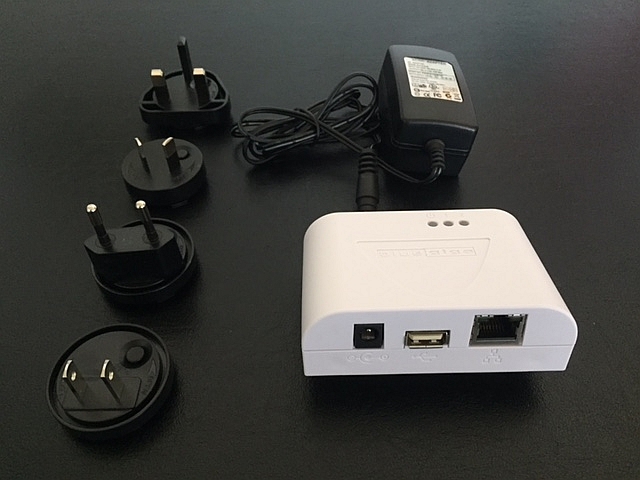 the transmitter is suitable for small and large animals and comes with easy to use monitoring software. The Bluetooth radio technology offers a much better signal transmission quality, higher bandwidth and much fewer signal loss compared to conventional and now out-dated IR based telemetry systems. Supports Live-stream of up to 21 Recorders. 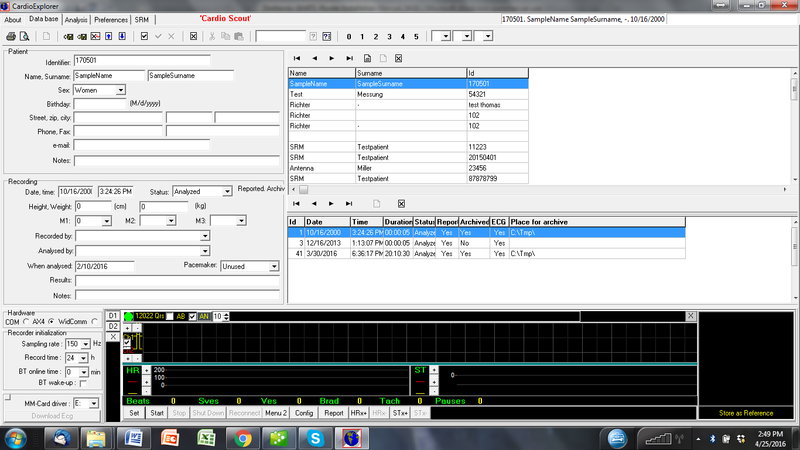 Proprietary Bluetooth to LAN router for Dextronix wireless heart monitors. Use WAP7 to connect up to 6 recorders. 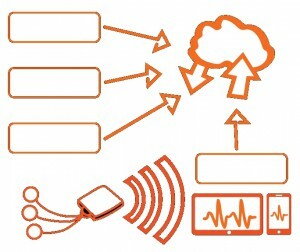 Use WAP21 to connect up to 21 recorders. Automatically connect recorders in range, start monitoring with one-button click. Access Point drastically increases signal range to cover entire buildings and outsides. Range extender available to reach up to 1km for horse barns and large areas. Please contact us at info@dextronix.com if you are interested in downloading the software for a free trial.